Who says you can't be in two places at once? Introducing Nubot, a smartphone faced robotic avatar doll controlled by Skype and webcam that allows you to interact with others remotely. Internet audio and video technology has advanced to the point where one doesn't even have to be there to, well, be there: just prop an iPhone, iPad or other similar device on the conference table and participate remotely from your home, vehicle or tropical resort. That's kind of impersonal, though... and what if the event you're unable to attend is of a more personal nature, like a family dinner? A hunk of cold, hard, plastic & metal is hardly a replacement for you, you handsome hunk! Enter Nubot, a video chat doll that adds a little warmth to remote conferencing of all types. 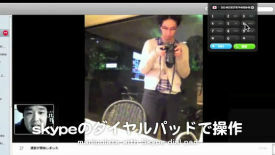 Nubot was developed by Nuuo, a Japanese planning company, who saw a burgeoning need for practical remote interaction by participants at staff meetings who couldn't always be there in person. Nubot is roughly the size of a small dog, which makes it easy to carry from place to place. 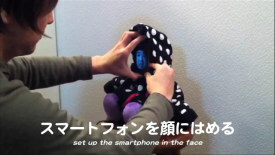 The doll's size is also in proportion to the smartphone installed in the space dedicated to Nubot's “face”... dial in and that face becomes YOUR face! Now here's where things really get interesting. 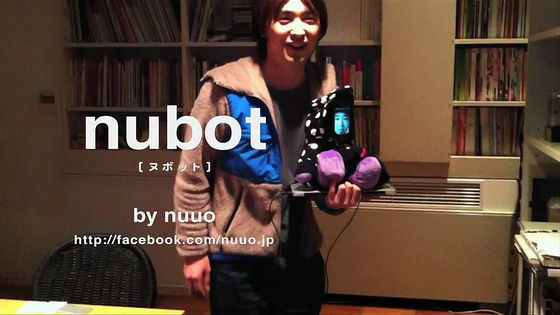 Once the smartphone is connected, Nubot acts as a robotic avatar and its movements can be controlled via the remote participant's Skype dial pad. Don't expect Nubot to breakdance across the conference table – at least, not yet – as this early iteration of the concept is pretty much limited to bowing, waving, and turning its body to direct the smartphone's camera. Combine these attributes with the facial expressions of the remote operator and you've got a much more “human” experience without dipping into the uncanny valley.